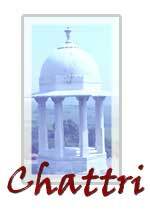 This paper records the history of the Chattri on the Downs at Patcham. There will be no discussion of how or why the Indian soldiers that it commemorates came to be fighting on the Western Front in 1914-15 or of the hospital arrangements in Brighton at that time. Suffice to say that in the autumn of 1915 when the Indian Corps was sent to the Mesopotamian front a year-plus-long association of Brighton with convalescent Indian soldiers came to an end. The last Indian wounded departed in February 1916. The Chattri stands in memory of all Indian soldiers who died during the First World War, 1914-1918, but it is particularly associated with the 53 Hindu and Sikh soldiers who died in hospitals in Brighton and whose remains were cremated at this spot. The original idea for a memorial is attributed to Lieutenant Das Gupta of the Indian Medical Service, who approached the then mayor of Brighton, Mr J. (later Sir John) Otter in August 1915 for permission to erect a memorial on the site where cremations took place. The mayor embraced the idea with great enthusiasm and became the driving force behind it. From study of the bulky file preserved in the India Office Library the debt to Sir John Otter becomes increasingly apparent. Sir John’s name not only appears again and again but he is in fact almost the only local dignitary whose name figures in correspondence until many years later after his death, when a succession of reluctant town clerks wrangled over maintenance of the Memorial. Initially Otter acted in his capacity as mayor, but after relinquishing that post in 1916 he continued as Chairman of the Indian Memorials Committee for Brighton. It is even suggested in official correspondence that he quietly and without thought of recognition or recompense paid for some outer parts, such as railings and so forth, out of his own pocket. In 1916 Otter proposed two memorials. One to be erected on the ghat, the site on the Downs near Patcham where the Sikh and Hindu soldiers were cremated (Mohammedan dead were buried at Woking), which he envisaged would bear “a tablet with names and to contain one of the stone slabs on which cremation took place.” The other, in the town, would be of a more general nature to commemorate the link with the Indians (the southern gateway to the Pavilion). On 16th February 1916 the Secretary of State for India, The Rt. Hon. Austen Chamberlain, concurred, he was indeed “in entire accord with Sir Walter Lawrence’s recommendations.” These included: “that where cremation has been resorted to, a simple monument of an oriental character should be erected on the site of the crematorium.” But there the matter rested until Alderman John Otter’s proposals came to the attention of the India Office in June 1916.